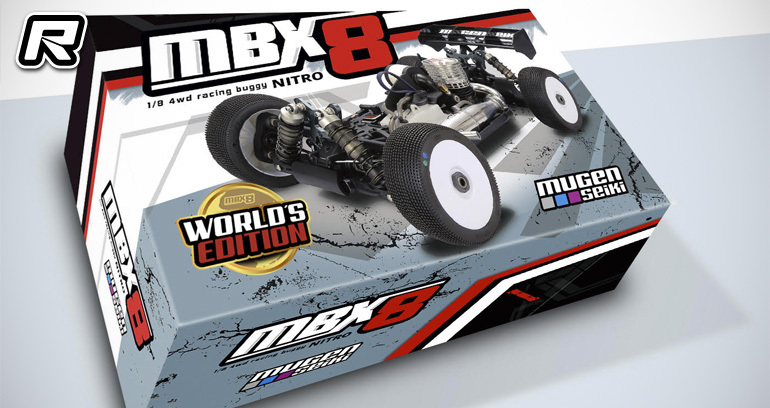 Mugen Seiki have released the MBX8 Worlds Edition Nitro Buggy kit. 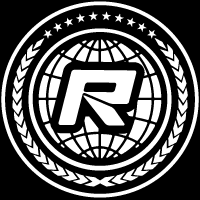 It includes many of option parts used by Mugen Seiki drivers at the 2018 IFMAR World Championship where the Japanese brand had four MBX8’s in the 60 Minute final with Ryan Maifield finishing on the podium. The MBX8 Worlds Edition includes inline front uprights that have smoother steering compared to the stock trailing front uprights and work great in high traction conditions. The -3mm front upright arms are also included and improve the initial steering response and make the vehicle more stable through the middle and exit of the corner. 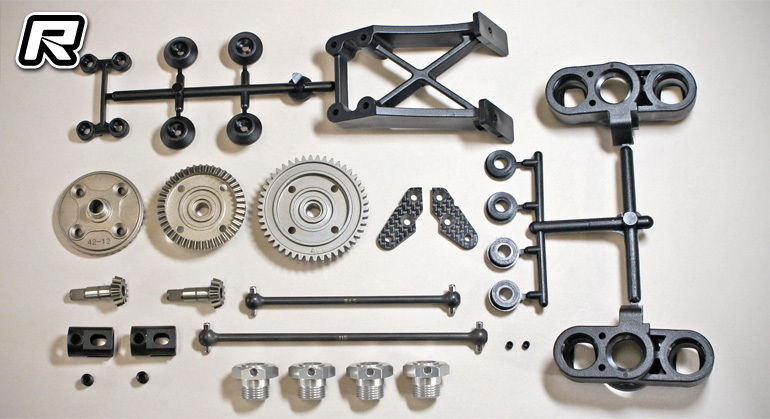 Different transmission parts are also supplied such as the 46 tooth HTD spur gear, 12T bevel gear, 42T conical gear, front and rear-centre dogbones and finally the +15mm wing mount.